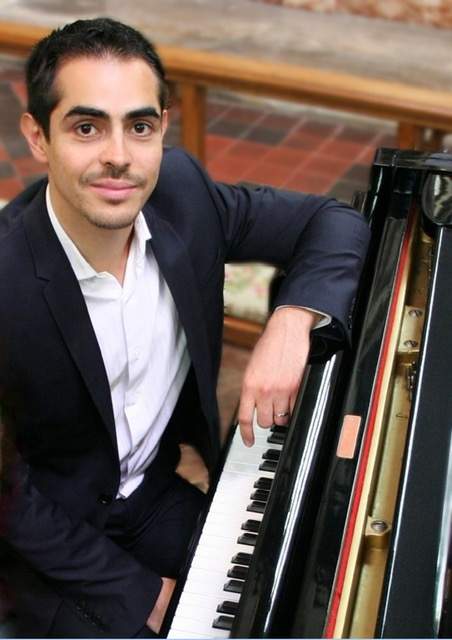 Pierre-Bastien MIDALI is a Trinity College London licenciate in Piano Performance (with distinction). His prizes include a unanimous first prize in piano and chamber music from the La Courneuve-Aubervilliers Conservatoire (near Paris) and a Piano Diploma awarded by the City of Paris (with distinction). Pierre-Bastien Midali has performed in France, UK and several other European countries, as well as in Argentina. He created in 2014 the Duo Terra Nova (four hands piano) with Elodie Griscelli. Winners as a duo of the 2016 International Piano Competition in Brest, France, they have also separately won many prizes and are accomplished solo and chamber music performers in their own right. Their first CD “Invitation au voyage” appeared in autumn 2016 and features works by Debussy, Rachmaninov and Mozart among others. Their next CD dedicated to dance (Piazzolla, Brahms, Dvorak) will appear soon. Pierre-Bastien Midali is also a piano and chamber music teacher. He has taught for the Conservatories of Besançon, Poitiers and City of Paris and is now a teacher for the Paris – Vallée de la Marne Conservatories network and coordinator of the Chamber Music department. He is frequently invited as a member of the examination board for the Conservatories of the City of Paris.